The problem with all three of these methods is they do not take into account the customer's perceived value of the product. Let's assume you are going to sell hats. The hats cost you $10 to make so you decide to sell them for $15. What if the people buying your hats only think they are worth $5? You are in big trouble. You cannot afford to sell hats for less than they cost you to make, but if that is the perceived value to your customers you will not sell any at $15. On the other hand, what if customers love your hats and would actually be willing to pay $20 per hat? You are cheating yourself out of $5 per hat. So how do you know what people will pay? Do the research before going to market. Either hire a market research firm, or do it yourself if you are on a budget. If people are willing to pay less than your cost to produce the hats, you will be avoiding disaster by knowing this information ahead of time. If people are willing to pay more than your perception of a fair price, you can be even more successful than you imagined. Your price must be based on the perceived value to the customer. Price is a double-edged sword, and many companies find themselves falling into the trap of competing on price. Price is NOT a competitive advantage by definition because it can be copied easily and immediately by the competition. Price wars with the competition hurt everyone. Customers will be happy at first because they will get better deals, but be disappointed in the long term when prices go back up or their favorite company goes out of business. Price wars destroy the perceived value of the product in the marketplace. Even if your company wins the price war by undercutting the competition, customers will feel cheated when prices return to normal levels. I went to McDonald's to get my 39-cent hamburger the other day, and to my dismay what had been 39 cents the previous six months is now all of a sudden 79 cents. I felt cheated, but if they had not been 39 cents the week before when I bought them, I would not have felt that paying 79 cents was a big deal. Like millions and millions of other people, I have been going to McDonald's since I was a child. A few years ago they panicked and jumped into the price wars with their competition. This was a mistake. By creating their own "value menu," they started looking like everyone else. There is now nothing special about going there because they are just like their copycat competition. I just heard on the radio that McDonald's is closing almost 200 locations. It does not sound like the low price strategy is working. Low price is not a valid competitive advantage, yet companies spend millions of dollars saying they are the low price leaders. Low price has no distinguishing characteristic about it, particularly when everyone is saying the same thing. Companies are also telling their customers to shop based on price. Therefore, if their competition has a lower price, they should go to them. Let me repeat, companies are paying for advertising that tells their customers not to be loyal, but to shop based on low price! Besides encouraging a price war and creating disloyalty, this violates Marketing Key 5: Building Relationships. By telling people that the lowest price is the best criterion for choosing a product, companies are discouraging customer loyalty based on reputation or quality of service. This practice is so prevalent that it is no wonder many people are confused about the proper place of price in a marketing plan. The good news is that after reading this, you now know better than your competition. The answer to how to win a price war is to not get into one in the first place. If you find yourself in this situation, find a competitive advantage aside from price to promote then differentiate yourself and focus your marketing promotions on the advantage instead of price. How smart is your marketing? Do you follow the crowd or set your own standards? People are attracted to innovative leaders, not copycats. Besides, most companies throw thousands of dollars down the drain on ineffective advertising- can your budget afford such waste? Start your education today- follow these seven keys to increase your marketing IQ and outwit your competition. The first step is to determine what your organization does better than the competition. All marketing focuses on communicating to customers the advantage of your product over the competition. To compete in the marketplace, you must find what your company or organization offers better than the competition. What unique competitive advantage do you offer? What are the distinctive competencies that separate you from the pack? What strengths do you have that can not be easily or quickly copied by the competition? You should perform a SWOT analysis to help you find your advantage. When determining the competitive advantage of the company, I caution you to avoid basing it on a supposedly unique product. It is very difficult to have a sustained competitive advantage based on a product in our modern technological age. In the past, a technological innovation on a product could give a company the advantage for decades since others were not able to copy the product easily. Today successful products can be, and often are, copied in a matter of weeks if not days. Many software applications are copied (though not necessarily legally) almost immediately. For these reasons, it is very difficult, if not impossible, to hold a competitive advantage based on technology or a technologically superior product. That is why there has been a shift to the intangible elements of customer service and other value-added components in the marketplace. Low price, by definition, is not a competitive advantage because it can be quickly and easily copied by the competition. Competing on low price is an invitation to a price war. Competitive advantages today are usually based on service, reputation and longevity. Why are you in business? What are you trying to achieve? How will you measure your success? Answering these questions is vital to defining your purpose. To determine and evaluate the direction and goals of your organization, you must have a clearly defined mission. Once you have developed a clear purpose, make sure all levels of the organization are in alignment and going the same direction. The best way to do this is to involve the stakeholders in the development of the mission in the first place, rather than a few decision makers deciding what they think is best and handing it down to be followed. The purpose of advertising is to promote image and awareness. Before you can implement promotions (Key 4), you must create an image. An image is both a concept and a physical visual representation. To compete today, you must have the right look. It is not enough to have a good product; you must also be able to attract the attention of the audience. The look should enhance the image of the product while maintaining alignment with the mission (Key 2) and promoting the competitive advantages of the organization (Key 1). The key elements of image are the logo, colors and style, and branding. The logo is the visual symbol of your product or organization- it should be pervasive in all of your communications. Imagine police officers wearing pink and rainbow stop signs- this sounds strange because every color has meaning. Make sure your business is using the right colors for the message you are conveying. These elements provide recognition of your brand- but a brand is more than looks. A brand is the promise you are making to your customers. Crest promises clean teeth and Tide clean clothes. You recognize the names and the colors- but a promise kept is what makes the brand. Your brand is your reputation for keeping promises and the greatest asset you own. Promotion is the nuts and bolts of the marketing process. The promotion element is what most consumers see and think of when you mention marketing. Promotion includes advertising, public relations, sales promotion, personal selling, direct marketing, and internet/interactive techniques. Before spending money on promotion, make sure you have done the hard work in keys 1-3 to avoid wasted expense. Target your market and understand what will be the most effective use of your resources. Determine an effective pricing and distribution strategy based on your research. Use as many appropriate promotional tools as possible and integrate them together into one cohesive and powerful communication device. Do this by maintaining a consistent look, feel and message. Link individual promotions together- print ads with a web address, web pages with in-store coupons- for a maximum and measurable response. Remember the goal of your promotions is to turn prospects into customers, and customers into long term relationships. In today's competitive marketplace, the best way to insure your investment is to establish relationships with customers. By building and cultivating these connections, you establish a protected relationship. People will continue to do business with you because they know and trust you. Make yourself invaluable to your customers, and they will likely be yours for life. You will also gain valuable feedback on how to improve in the future. Gaining feedback is what tells you whether you are on the right path with your customers. You have already done the hard work of developing a roadmap for success in your marketing plan. Feedback will tell you whether you are on the right track or veering off course. Use surveys, response cards, the internet, phone calls, focus groups, market development groups, and feedback from salespeople to gain information, learn and improve your marketing efforts. Companies must consistently assess their position in the marketplace and make necessary adjustments to remain competitive. After gaining feedback, businesses must revisit, reevaluate and revise their competitive advantage, mission, goals, alignment, promotions, and relationships with customers. In other words go back to Key 1 and start over. 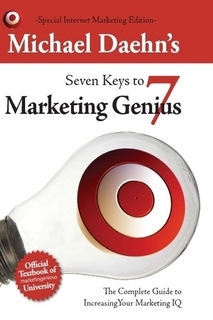 ﻿If you like this article, check out the book The Seven Keys to Marketing Genius: The Complete Guide to Increasing Your Marketing IQ. If you follow the prevailing logic of most modern companies, you will inevitably fall into this trap. Line extension is using an existing brand name or image and extending it to new products. Sounds like a good idea, right? Why not use the equity of your known brand to draw attention to a new product? The reason is that you tend to confuse customers as to what your brand means, and in the long run this strategy decreases overall market share. For example, in 1978 7UP was the lemon lime Uncola with a 5.7% share of the soda beverage market. Trying to capitalize on this significant market share, they created 7UP Gold, Cherry 7UP, and assorted diet versions. Logic would dictate that with a greater product offering they would have gained a greater share of the market. On the contrary, their sales plummeted to 4.2%. Line extensions confuse customers. o They don't do their homework. If companies took the time to investigate the lack of success of line extensions by other brands and companies, they might think better of the idea. o	Ego. They feel so successful with their current brand they think they can carry the momentum to the next item by slapping their name on the label. They also don't think the seven keys to marketing apply to them. o Copycats. Everyone else has line extensions so they reason that it is the proper strategy, not taking into account the number of line contractions that frequently occur. o	Appearance of success. 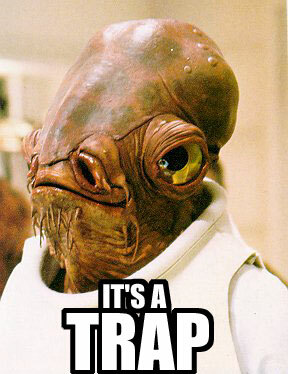 An insidious feature of this trap is that line extension usually has initial success. Consumers are usually curious about the new product with a familiar name and will try the new item initially, but long-term sales plummet. Some line extensions become market leaders further muddling the argument. But in those cases, it is usually because their direct competitors are also using line extensions such as Diet Coke vs. Diet Pepsi. o	Appearance of growth. Most executives are paid to come up with ideas on how to grow the brand. By concocting new versions of a brand, it appears as though they are earning their paycheck since there are more items in the market with their brand name on the label. o	Appearance of cost effectiveness. It would seem that extending a brand would be cheaper, since the company already has a place in the mind of the consumer. On the contrary, it often costs just as many, if not more, marketing dollars to educate the public about the new product line. In many cases, brands try to reeducate their consumers about what their name means. They are changing the promises made by the original brand. 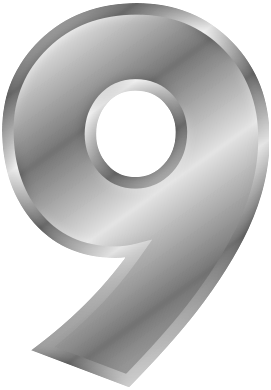 An example of this is V8 Splash. V8 aired a commercial where a person drinking the new line of product is shocked to discover there is no tomato-y aftertaste. After decades of advertising and millions of dollars trying to get consumers to recognize V8 as a tomato beverage, they change the rules. In my book, this is a classic example of the line extension trap, and what not to do. Of course there are times when it is a good move to expand a company by offering more products. A better strategy is to use co-branding (same company, different brand names). Coke has found success in this area with Sprite. Imagine if Coke had named its product Lemon Lime Coke. Sounds absurd, but think of the brands that have gone that direction. There is Pepsi Blue, which I still am not sure if it is berry colored, or berry flavored and I don't really care to find out. The new Mountain Dew Code Red is another confusing moniker, why didn't they just come up with a new name? But even a giant like Coke does not learn from its own success and follows with Lemon Coke. Each product needs its own image and word associated with it. If you feel you have significant market share where you are and you need to expand into new markets, co-branding is the better route. Proctor and Gamble has built an empire on co-branded products. The 20th century taught businesses the power of specialization. Line extensions go against this theory by trying to make one brand all things to all people. As the saying goes "jack of all trades, master of none." People may not realize it at a conscious level, but they do categorize and choose brands known for a particular specialty. For this reason, marketers must narrow the focus of their product. The brands that stick in the brain are those that have a narrow, sharp, and focused tip. The broader the description and lines of a brand, the less likely it is to pierce the consumer's psyche. It is helpful to picture the brand as an actual object penetrating the brain tissue of the intended receiver. Imagine the customer standing in front of you with the top of his or her skull sawed off. The squishy gleaming brain matter is sitting exposed before you. If you are using a broad, expansive tool, it will not get past the gray matter. By creating a narrow focused point, the brand is able to puncture the brain tissue. I know this is a grotesque illustration, but I bet I got it to it stick in your brain. “Heroin content” is what web usability guru Vincent Flanders calls the information that people would crawl through a sewer for. Heroin is the most addictive drug on the planet so people will do anything for another fix. What does your website provide visitors that they just gotta have? The unique quality of the internet is the ability to interact and customize content. Customized content keeps them coming back for more. Keep the connection alive by following up with useful information and news. Customers that don’t know you will likely find you through a search engine. The trick is getting the search engines to find you first. Invest in good search engine software, or pay someone who knows how it works. People use search engines to find solutions to their problems. Is your site about solving your customer’s headaches? Most sites are self centered. Make yours customer centered by providing answers to their questions. Build relationships by providing value before the sale. When it comes time to purchase, you already have an established relationship. Ask yourself what you can do for your customer rather than what your customer can do for you. Don’t create a million dollar website with ten cent navigation. Simple easy to follow navigation is far more effective than nonsensical animated graphics. Think Google! Your site reflects your work ethic and the type of service you are likely to provide your customers. Put some time, effort and money into your site to show you are top notch. People are looking for an original and authentic voice, not the same boiler plate information. Nobody likes stiff and snobby people and they won’t like their websites either. Take advantage of the rare opportunity when someone reads your content to make a real personal connection. A funnel is a good way to think of the marketing process. The top is very broad and consists of using mass marketing techniques. Mass marketing includes items like mass mailings, national advertising, billboards, and airing commercials during the Super Bowl. The marketing message is sent to a broad audience with little or no discretion. Mass marketing is very expensive, difficult to evaluate, and has a low return on investment. Mass marketing is a stab in the dark, like trying to find needles in a haystack. The next section of the funnel narrows the target audience into market segments. The communications still appeal to a large audience, but they are at least targeted to a specific market segment by means of the chosen media. Cat Fancy magazine, ESPN, and the Oxygen website each target a specific segment of the market: cat lovers, sports enthusiasts, and women, respectively. Next, we narrow the target audience further into niche or specialty markets. Harley Davidson, Barbie, and Macintosh computers each appeal to a specialty area of the market. 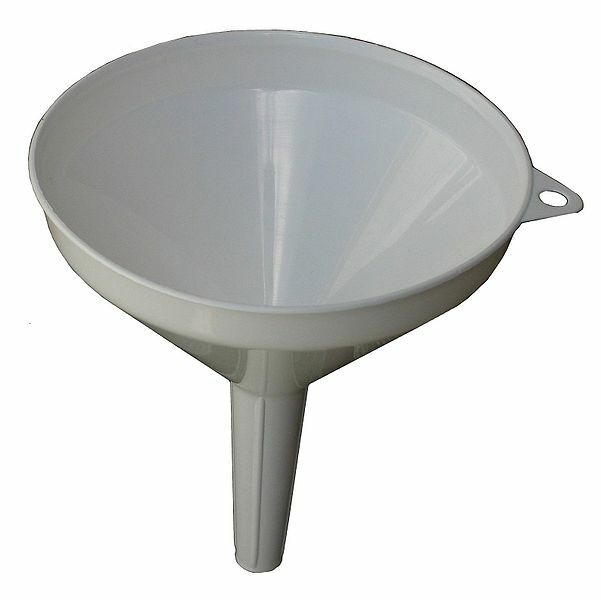 The bottom of the funnel is the customized or one-to-one area of the funnel. The consumer being on a first-name basis with the product or service provider often characterizes these markets. Mike the mechanic, Bill the barber, Doc Baker are all one-to-one relationships in which the customer and service provider know each other personally. Through the use of technology and mass customization, these relationships can be available on a wide scale such as in the case of the “My Yahoo!” page. ROI stands for return on investment. Every one of the techniques in the funnel will gain customers. The question is which technique will provide the greatest return on investment. A Super Bowl ad is sure to create interest and generate new customers, but at what price? The same amount of money spent at the bottom and targeted directly at ideal customers will produce a much greater return on investment. Two benefits of targeting the bottom of the funnel are the likelihood of a positive response and the kinds of relationships that are established. Relationships on the bottom of the funnel are more committed and not easily broken. One-to-one customers form the bedrock, the foundation, for any successful product line. These people are not likely to change to a competitor due to the mutual commitment they feel between themselves and the brand. Customers at the bottom of the funnel can and should become your best marketing tool. They are positive multipliers that spread the word to friends and family. There are three levels of the one-to-one section: the customer, the referent, and the advocate. The customer will continue to buy the product and not switch to the competition. The referent will continue to buy the product and will tell others about the product when asked (give referrals). The advocate will continue to purchase the product, will actively promote the product, and will convince others to buy it. The goal of every marketer is to gain advocates for the product. To summarize, the top of the funnel is the most expensive with the least return on investment and the least amount of consumer loyalty, while the bottom of the funnel is the least expensive with the greatest return on investment and the greatest amount of consumer loyalty. Getting consumers to the bottom is the goal. Marketers should always be guiding their consumers to the bottom of the funnel where the costs are less and the relationships are stronger. Why would anyone market to a mass audience at the top of the funnel? There are three reasons marketers come in from the top of the funnel: lack of education, sloth, and lack of opportunity. The majority of people marketing products do not know anything about the marketing funnel. If you know anyone that needs to be a more effective marketer, I urge you to advocate this book to him or her. Millions of dollars are spent because that is just the way things have been done in the past, or that is what companies see from their competitors. If you want to lead the market, then innovate instead of imitating. On the other hand, some people are too lazy to work on building these types of relationships with customers. Often it is easier to pay for a television commercial or a billboard than to figure out how to establish one-to-one relationships with thousands of target customers. The final reason is lack of opportunity. Sometimes when marketing a new product, it is necessary to enter the market from higher up in the funnel. If this is the case, steer your customer relationships down the funnel as quickly as possible. For example, if you must enter the market by means of a national newspaper advertisement, link the ad to a customizable website or some other tool that allows the relationship to develop further and reduces the need for future mass marketing efforts. If you aren't on Twitter it is hard to explain. It really needs to be experienced. If you are on Twitter I'm sure you have asked yourself how a site that is so simple and yet is constantly down due to technical difficulties can survive. Here's 5 reasons why Twitter will survive. When I first heard about Twitter I thought it was pretty stupid. Why would anyone want to blog in short sentences. Then a friend recommended it and I read an article in Wired Magazine. I finally gave it a try and got hooked. As the Wired article postulates, it gives you a sense of what is happening in the lives of those around you. It's also a great way to look back at what you really do all day which can be good or bad. The Twitter developers had a hunch it was not stupid when they created it. Since they were probably the only ones, they had the market to themselves. First to market is a fantastic competitive advantage since it literally can not be copied without the aid of time travel. Lots of people using your stuff means lots of other people wanting or needing to use it to connect to them. Twitter has lots of users. Because Twitter lacks some features, many third party apps developed to sync with it. Today there are tons of social platforms like Facebook that sync with Twitter. Twitter has become the glue that links these different sites and keeps your status updated across them all. Kind of like Tolkien's One Ring. Ya it's not fancy and breaks down a lot- kind of like your first car, but that is part of the endearing quality of Twitter. It has a bit of the underdog story going for it. Plus, people love to complain and lots of down time makes for great tweets about the lack of service when it comes back up. Humans are funny that way. Eventually Twitter will work out its technical difficulties and be a reliable communications hub. It will probably get bought by Microsoft or Google and become a mainstay on the web. I think we will miss these days. I can't help but think this is the golden age of Twitter. Tweet on. Are you on Twitter? What do you think?